LIMA – The suspect in a Saturday afternoon shooting on Lima’s north end was taken into custody early Tuesday. A spokesman for the Lima Police Department said officers received information on the possible location of the suspect in the shooting of Ledre Collins, 24, of Lima, at the Superior Court Apartments that led to the arrest of JC Brown III. Police were called at around 5:15 p.m. Saturday to an apartment at 35 Superior Court and found Collins suffering from an apparent gunshot wound to the abdomen. He was taken to Mercy Health-St.Rita’s for treatment. Scanner traffic indicated a white Chevrolet Impala was seen leaving the scene. Acting on a tip, officers conducted a brief surveillance of the apartment and subsequently made contact with the occupants of that apartment, the police spokesman said. 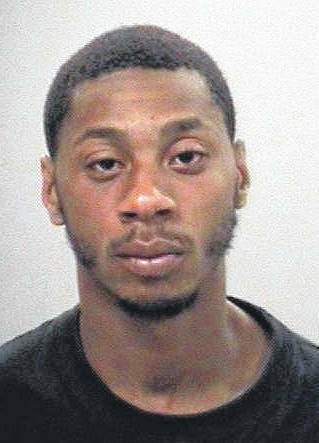 Brown turned himself over to authorities without incident, police said. A court date has not yet been scheduled for Brown.